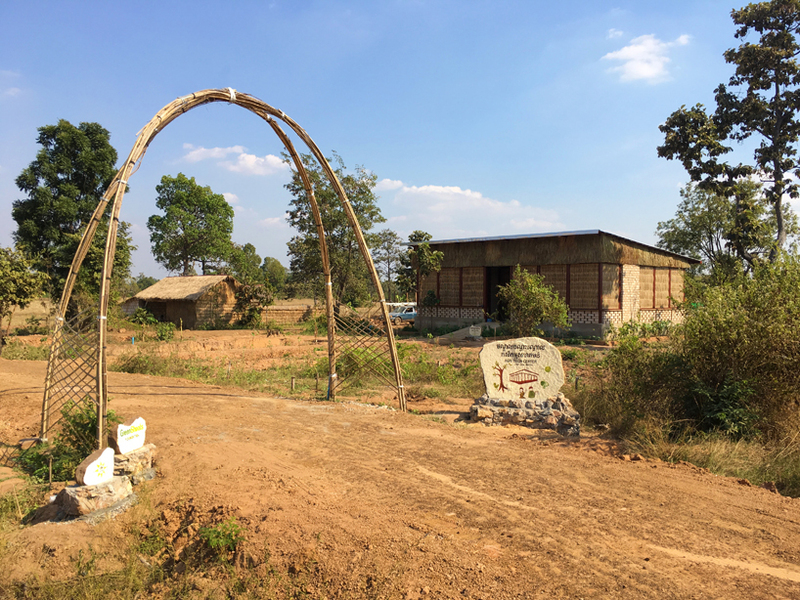 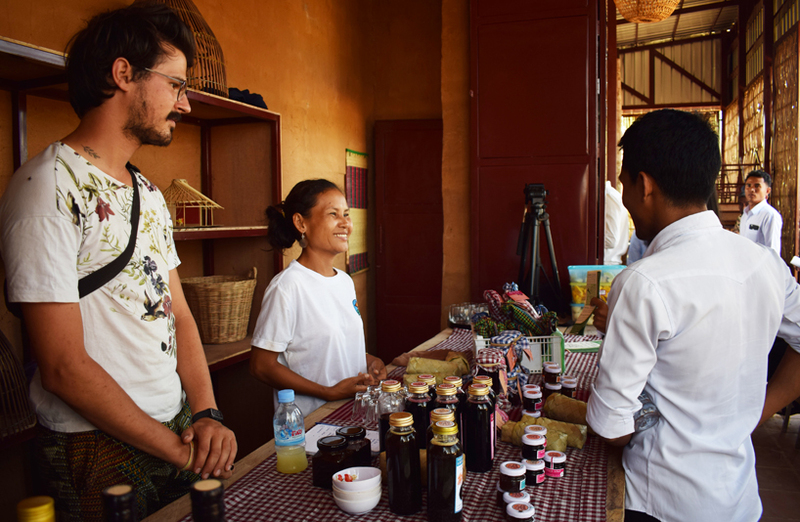 a new community agriculture & technology center has launched in krong samraong, cambodia, designed as a collaboration between squire & partners and SAWA for the green shoots foundation. 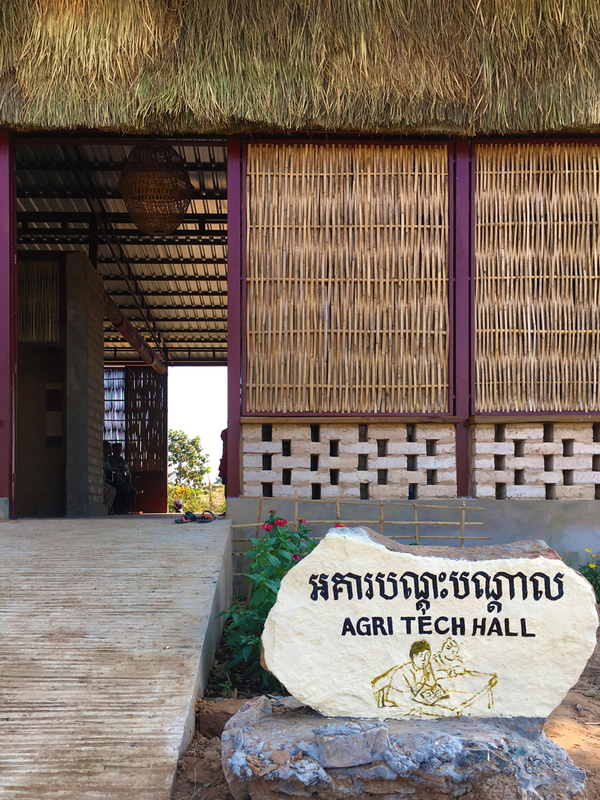 built by local contractors, farmers and 16-25-year-olds over a four-month period — assisted by volunteers from the UK — the development provides education in agricultural technologies to support children and adults in the local community and facilitates opportunities for enterprise. 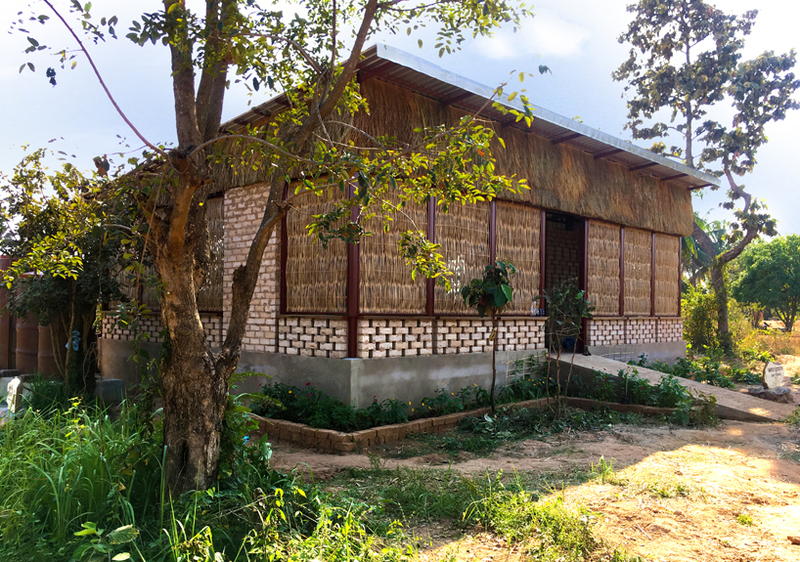 masterplan elements are designed to be responsive to the tropical climate – with raised floors to negate flood risk, screens to diffuse sunlight whilst providing ventilation, and overhanging roof eaves for the rainy season – as well as utilizing local resources, labor, and skills. 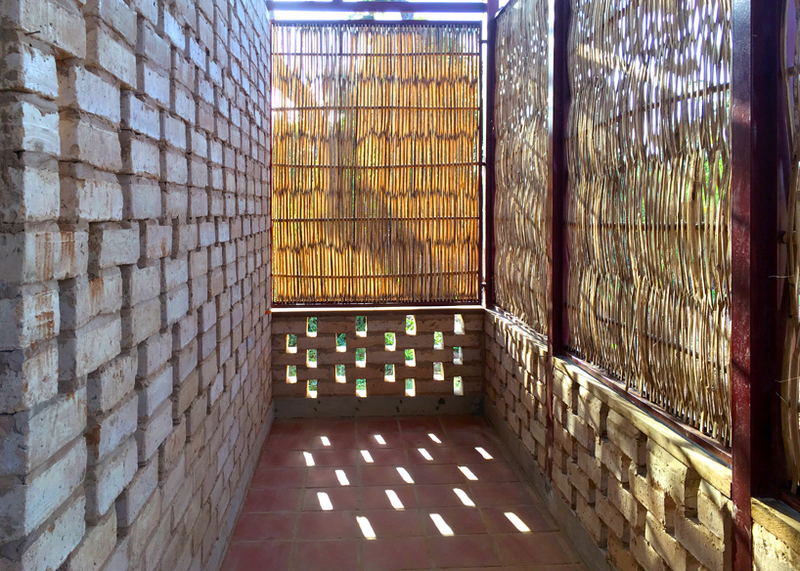 the main structure provides a multi-use hall with office and storage spaces, and a full width screened veranda. 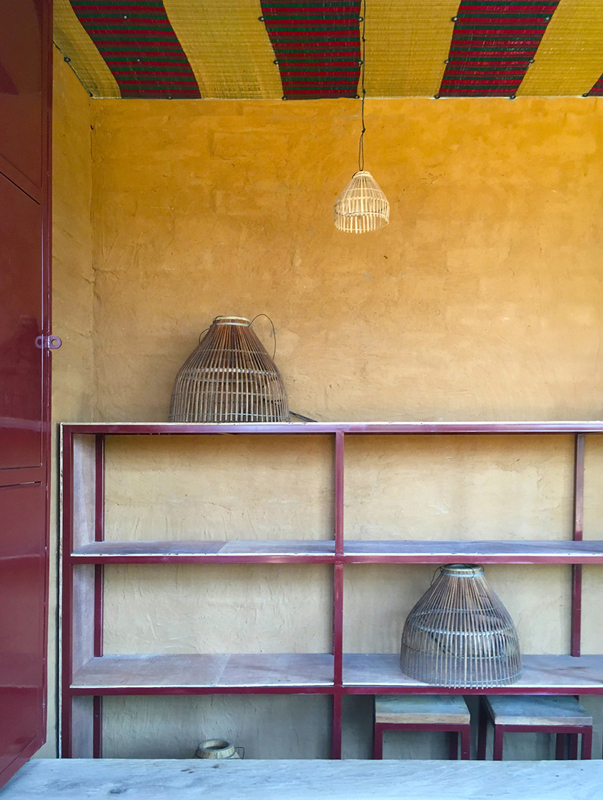 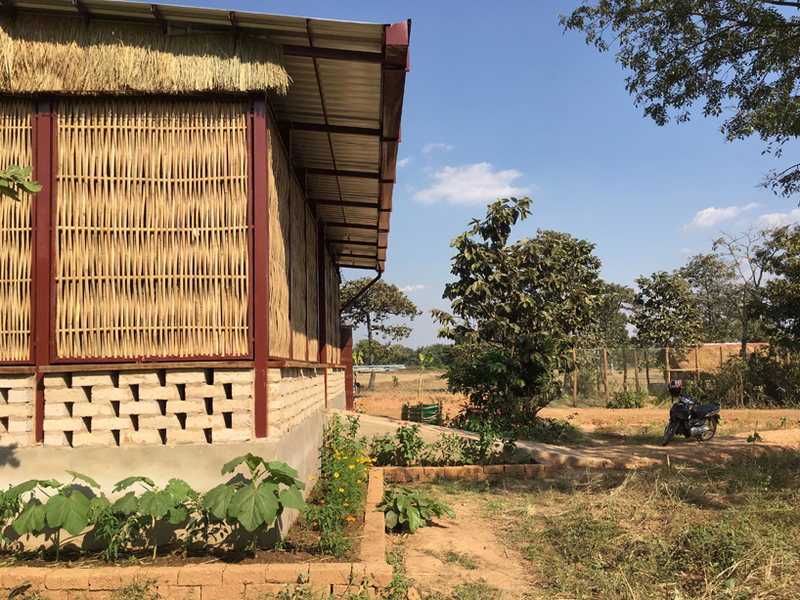 within a robust rectangular steel frame, the primary building materials comprise bricks made on site from stabilized earth, rice husk/clay blocks, and bamboo screens. 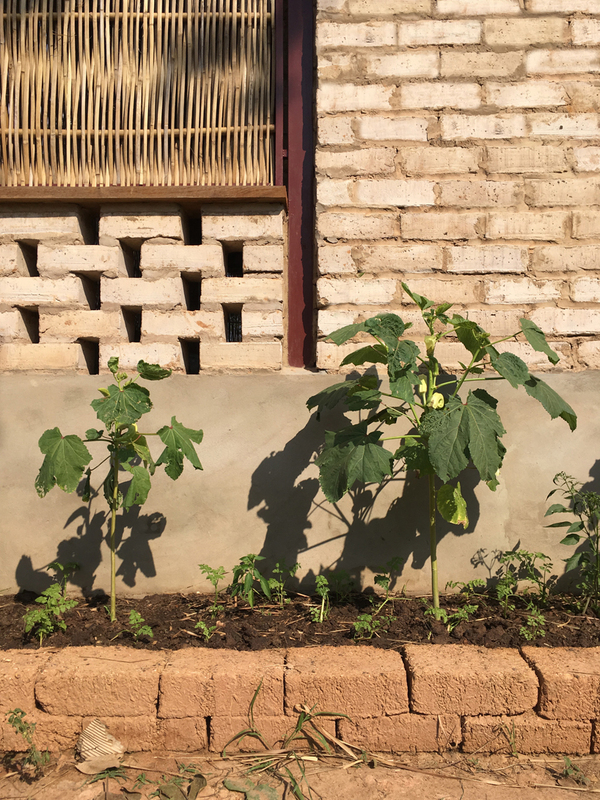 cassava and sand plaster is used to render walls, created in collaboration with local organic farm organikh. 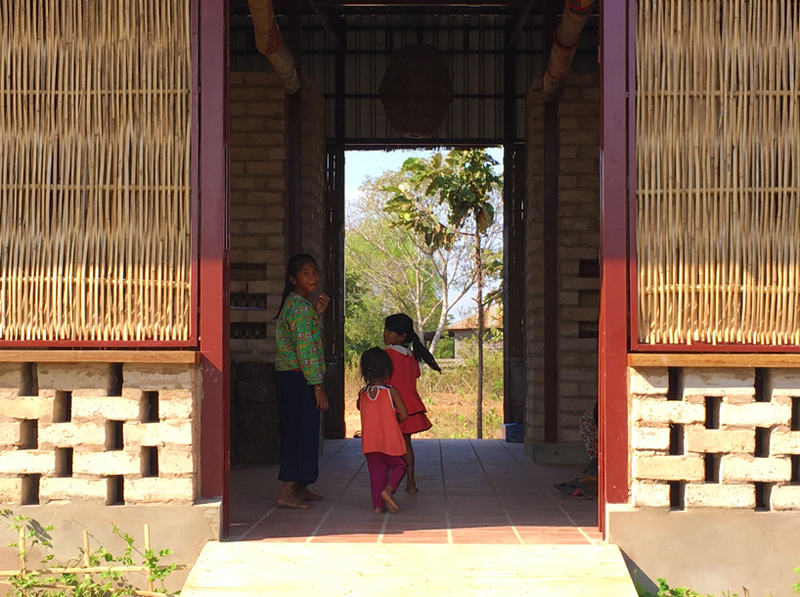 internally, a cast entrance ramp with bamboo imprints leads to a flexible screened veranda space with built-in countertops used for workshops or as pop up shops for local producers. 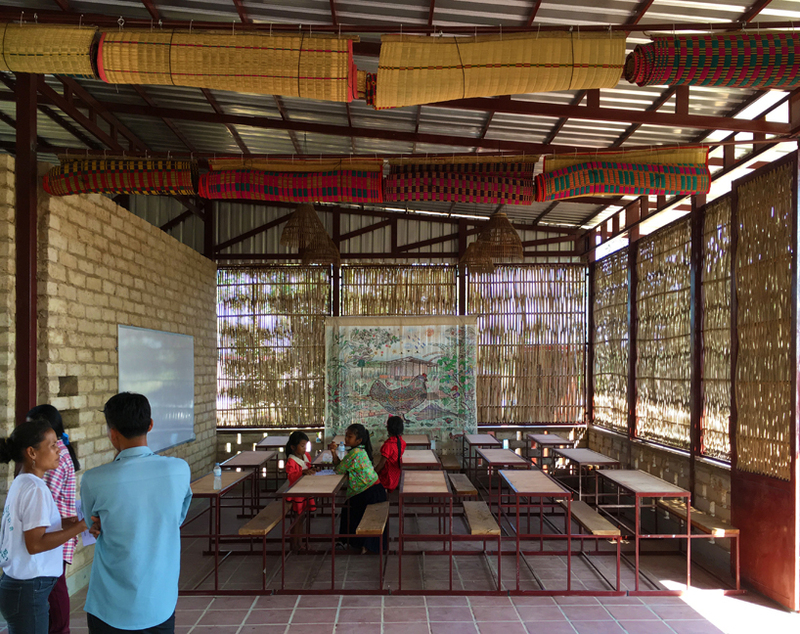 office and storage provide separation between the social veranda, and two generous classrooms set either side of a central hallway. 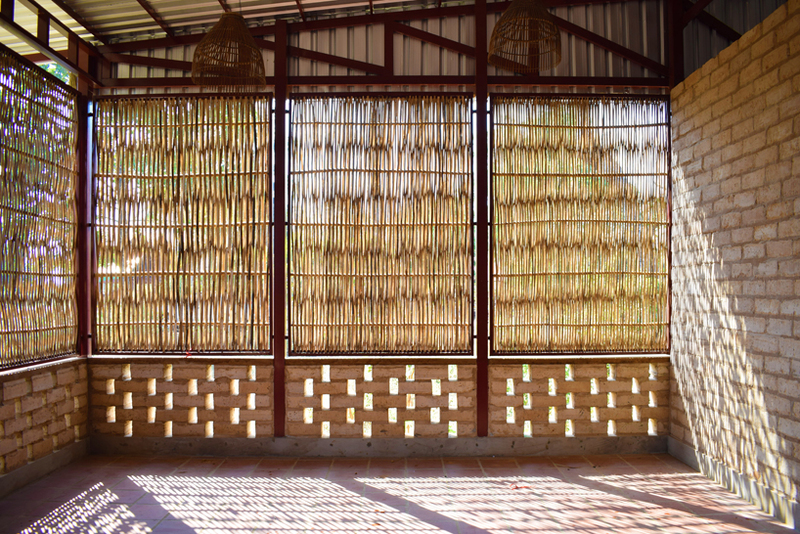 woven grass screens, made by a local women’s cooperative, can be lowered to define the two rooms or rolled up to create one large gathering space. 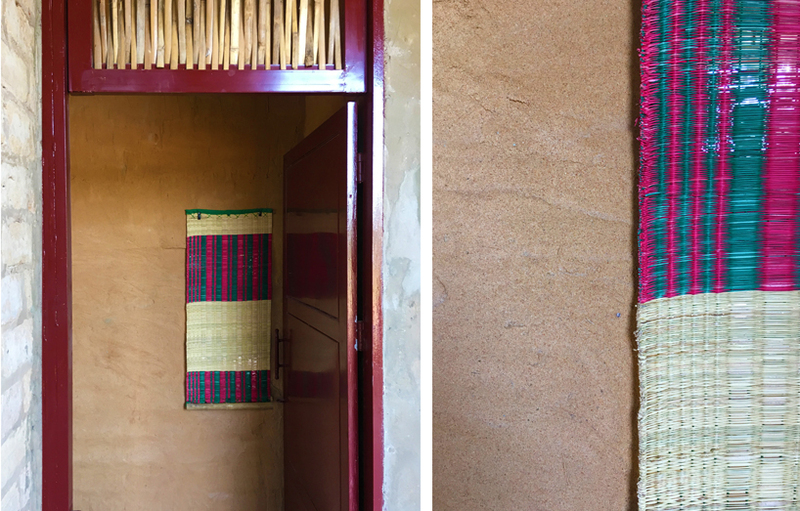 grass mats are also used as blinds and ceiling canopies, while local bamboo fisherman’s baskets were re-purposed as lampshades.